Representative light microscopy images showing immunohistochemical detection of CD31 (green) in GL261 gliomas. 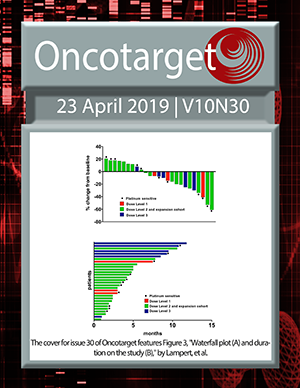 The figure was enlarged for the September cover of Oncotarget. See de Groot et al. Mutation specific antibodies: tool or dinosaur? Second Primary Malignancies and Myeloma Therapy: Fad or Fact? Endothelial chemokine receptors as facilitators of tumor cell extravasation?